Hello friends! It's been a few weeks since I've done an "It's Monday!" post. I'm still learning to navigate award committee reading along with pleasure reading. I'm enjoying the new challenge of reading for an award committee but it's proven difficult to commit to my own personal reading as a result. It's also become apparent that books have invaded every surface of my house. - even moreso than usual. I need to get better about keeping my books organized. But... it will get better now that we finally redid our family room and now have these gorgeous bookshelves on both sides of our fire place. Interesting YA novel about a girl from the Netherlands who escapes to New York after a family scandal only to find herself without a place to stay and with Hurricane Sandy on the way. Trevor Noah has had an extraordinary life. The fact that his very existence was against the law in apartheid South Africa shows the strength and resilience of his character that he has made it as far as he has in comedy, and now hosts one of the most popular political comedy shows in the world. But more than anything, this book is a testament to the love of a mother and son. 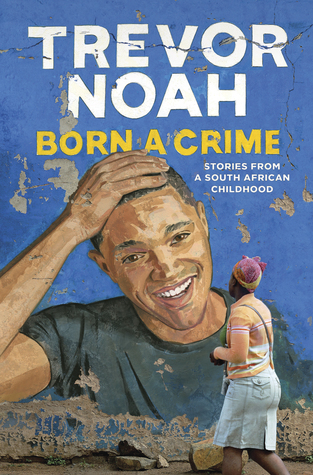 You learn very quickly in this book that Noah learned his resilience from his mother and while they didn't always see eye to eye, he clearly got his spunkiness from her. 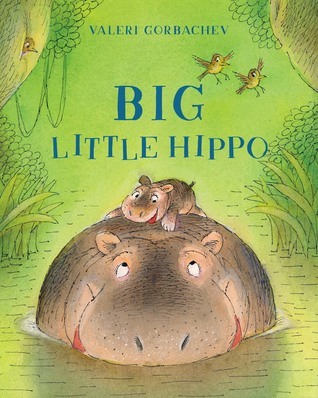 This book affected me deeply. Vincent Van Gogh, one of the greatest artists of all time, was judged and bullied mercilessly, even by young children who looked down on his art as crazy and garish. This is a fictionalized account of a young boy who came to recognize the error of his ways when, despite bullying Van Gogh as a child, was offered one of his paintings by the artist himself and refused to accept it, running away from the crazy artist. Now as an old man, he stands in a museum in Paris, looking at the priceless painting he refused so many years ago, wishing he had been kinder to the man. An important message of diversity and inclusion and how our differences are what unite us. Adorable illustrations. 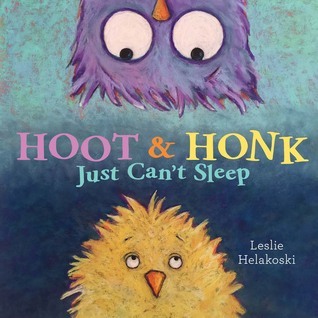 Would be a good read aloud for Pre-K as the theme is the desire to no longer be little. When two eggs get mixed up in a storm, a gosling and owlet end up in the wrong nest and wonder why they want to sleep at the wrong time and don't like to eat what the other babies do. 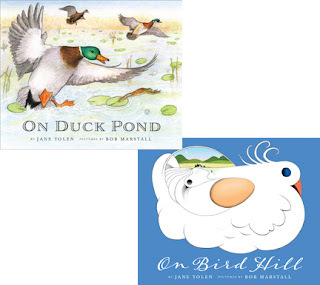 A cute rhyming story with scant words and a fun, bouncing rhythm. I'm almost done with this and it has been an incredibly powerful and important read. 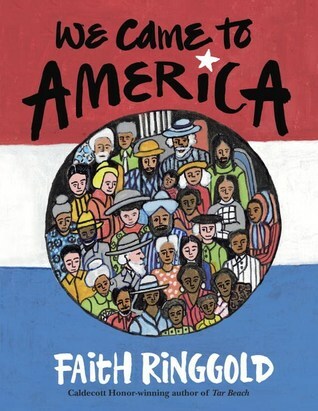 I recommend every teacher and librarian read this book no matter what grade you teach (though I would only recommend it for high school libraries and classrooms). 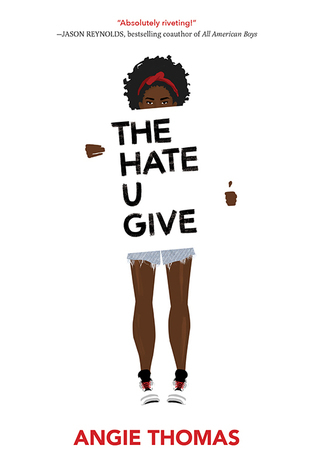 I really loved The Hate U Give but can't image listening to it and paying attention to anything else. Good luck. I have passed by A Hundred Hours of Night a number of times without picking it up. I will now. Thanks for the recommendations! So many wonderful books I've yet to read! 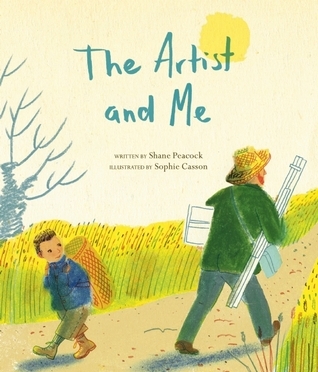 I have read The Artist and Me, and I definitely agree, such a moving and thoughtful story. I agree with THUG. Just amazing. 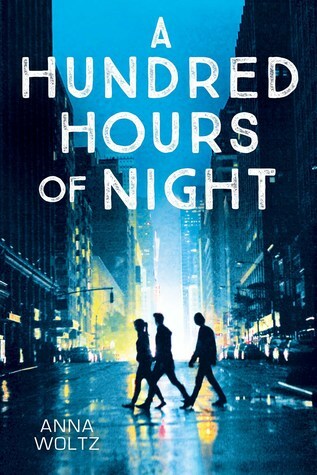 I was hoping A Hundred Hours of Night would be better. Not so much, huh? I also liked The Artist and Me and can see why teachers would argue over it. I really need to get to The Hate You Give. I've been on a waiting list for the Trevor Noah book. I'm eager to read it. THUG is so great! I too am reading for a committee and am wrestling with the high volumes of books and settling into a new house. It's definitely a challenge. I love your room! I love your reading corner. I received a review copy of The Hate You Give but haven't gotten around to reading it yet. I super love your reading corner. I know what you mean about required reading/leisure reading - and the boundaries between both. We have reading themes at GatheringBooks, that on occasion, feel like required reading as we read within a theme - it has its good and bad times. Thanks for the congratulatory message! I am also listening to The Hate U Give. It is so good! 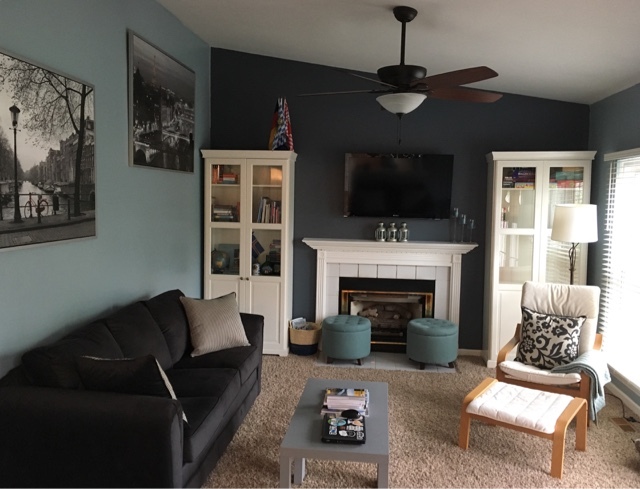 What a gorgeous space! I'm going to finish up Born a Crime on audio probably tomorrow on my commute, and I've got to say, I've been dragging out the last couple of hours because I don't want it to end. Amazing storyteller and one of the best and most powerful analyses of race and class I've ever read. It happened to be on when my son got in the car one day and he wanted to listen to a big chunk too. He's now a little bit obsessed with Trevor Noah himself!